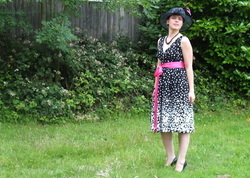 Maybe you've seen some of our dresses out and about in . . .
...and found the perfect hat to wear to the races. 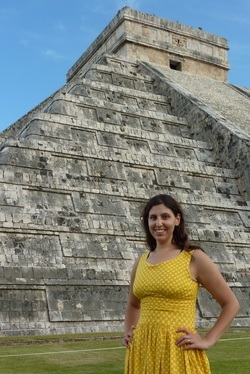 Orly sports her namesake dress while Honeymooning in Mexico. Yes, I think we are all a little jealous. Jenny winterized her namesake dress for Portland, but we know the ensemble sans sweater is perfect for San Francisco summers. 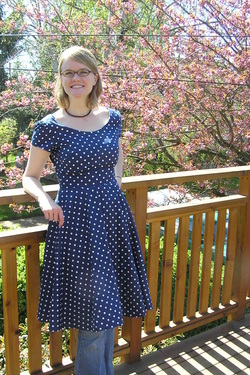 While in Portland a staple of Blonde Jillian's spring wardrobe was her custom polka dot dress. 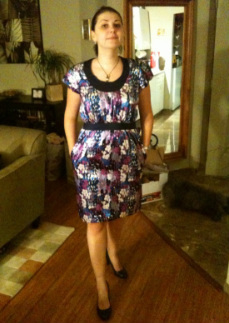 Now in New York City, Brunette Jillian shows off her Carla Dress. Deana's Dress-O-Matic dress does what it can to combat Seattle's gray skies. 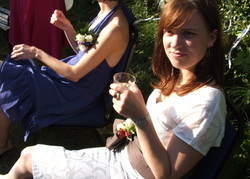 Eleanor continues to rock her namesake dress even now that she's living in Switzerland . . . and also on visits back to the States. Want to share your Dress of the Month Club outtings? 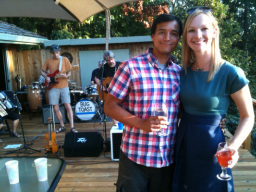 Just send us a photo and tell us where you were.